Please call if your city is not listed or for land only prices. Prices are per person based on double occu­pancy in a Category B outside cabin on Deck 2 (Magellan) forward (limited availability), and include airline taxes, surcharges, and fees of $787, which are subject to change until final payment is made. Single travelers please add $3,295. Your $375 deposit is fully refundable up to 95 days before departure. All 2019/2020 tour prices above (excluding airline taxes, surcharges, and fees) are guaranteed. The Emperador Hotel Buenos Aires is located on the Avenida del Libertador in the heart of Buenos Aires, close to art galleries and museums, shopping, dining, and historic areas. The contemporary 265-room hotel has a terrace restaurant and bar, fitness center, spa with sauna and massage treatments, solarium, complimentary Wi-Fi internet access, laundry and dry cleaning services, and indoor pool. Air-conditioned guest rooms have private bath with hair dryer, safe deposit box, mini-bar, TV, and phone. 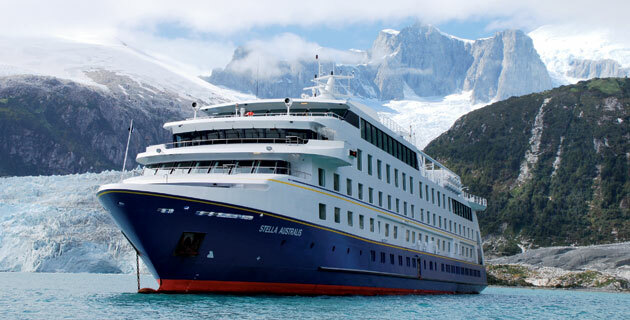 Delivering the most comfortable possible travel experience in one of the world’s remotest regions, the sister ships M/V Stella Australis and M/V Ventus Australis both offer shipboard facilities and amenities that include daily land excursions (weather permitting); open bar service (select wine and liquors); boutique; on-board lectures; game room; panoramic lounge; library; wide promenade deck; gym; and open bridge policy. Air-conditioned cabins have private bath with hair dryer, in-room safes, and panoramic windows. Opened in 2012, this bright, modern 295-room hotel is located in one of Santiago’s most stylish neighborhoods. The hotel features a restaurant and bar, swimming pool, gym facilities, and Wi-Fi internet access. Each air-conditioned guest room offers private bath with hair dryer, in-room safe, TV, phone, and mini-bar. The Loi Suites Iguazú Hotel is located in the heart of the jungle on a promontory overlooking the Iguazú River, just a 15-minute drive from Iguazú Falls. The 162-room hotel features two restaurants, bar/lounge, fitness center and spa with massage treatments, outdoor swimming pools, sauna, and complimentary Wi-Fi internet access in public areas. Air-conditioned guest rooms have private bath with hair dryer, in-room safe, mini-refrigerator, internet access (surcharge), TV, and phone. 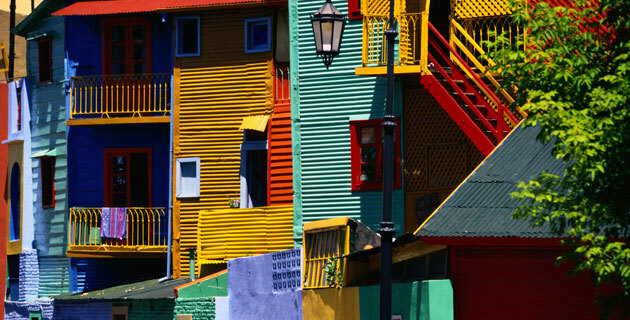 Discover the magnificence of one of the world’s iconic landmarks and great natural wonders. 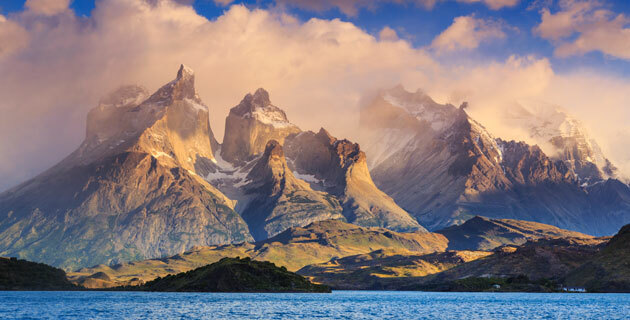 A masterpiece of travel, history and adventure, this award-winning book captures the spirit of the land, history, wildlife and people of Patagonia. There’s no travel writer as engaging, insightful and just plain wonderful as Bruce Chatwin. A journalist with the Buenos Aires Herald, Moss follows a colorful cast of characters – from Magellan and Darwin to mad kings, gauchos, and Nazi fugitives – in this vivid overview of the culture and history of Patagonia. Captain Irving Johnson memorably narrates this documentary of his 1929 voyage as a young man aboard the Peking, featuring a remarkable sequence about the ship rounding the Horn in a storm. Hudson’s enthralling childhood remembrances are rich with descriptions of the landscapes, birds and nature of Argentina. A handsome reprint of Hudson’s classic 1893 account of life, nature and adventure in southern South America, with paintings and drawings by Alfred Hartley and J. Smit. 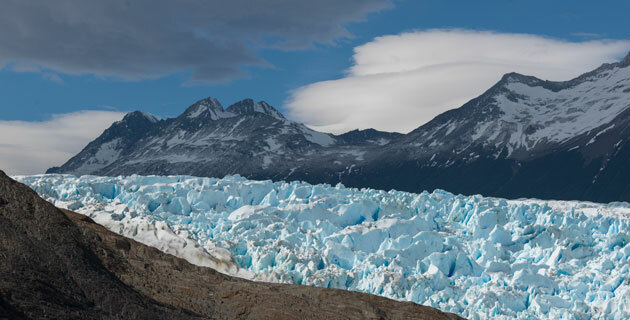 A spirited tale of adventures in the southern tip of South America, south from the Pampas and Patagonia to Punta Arenas, the Beagle Channel, Ushuaia – and Antarctica. Allende turns the amazing life of Spanish conquistadora and founder of Santiago, Ines Suarez (1507-1580), into a gripping novel. Basis for the 2010 Oscar-winning film and a portrait of 1970s Buenos Aires, Sacheri’s novel-within-a-novel follows Benjamin Chaparro, a retired clerk in the Palace of Justice, who sets out to write a novel about a case that has haunted him for decades. These choice stories introduce both the country and a host of contemporary writers, including Pablo Neruda and Ariel Dofrman. In the trademark, graphic Eyewitness style, this sturdy guidebook colorfully describes the world’s cetaceans with numerous illustrations, range maps, fluke drawings and a few paragraphs on each species.